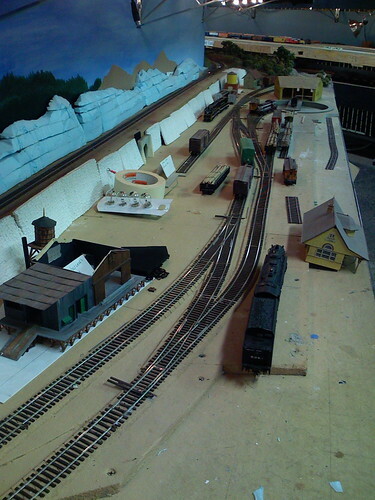 Gotham Springs is the end of the branchline, and is undergoing construction at this time. 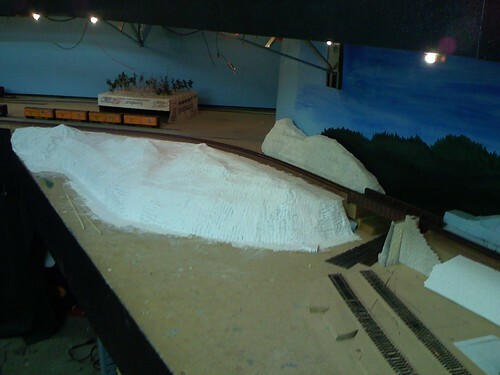 The area will feature a few industries, a turntable, and a connection to the narrow gauge Gotham Springs and Saint Germain Railway. This little railroad that could stays in the black by moving well-to-do patrons between towns on the SVL and the St. Germain Hotel, a posh spa. It also helps supply lumber to the SVL. Click on the thumbnail photos to see a larger version. Copyright © 2004-2019, Silicon Valley Lines, All Rights Reserved.